I used Rainmeter and the Enigma desktop to get the clock, date and weather. I had to do some customization to get it like I want - simple. Hey, it it works for me. NOTE: The date in the upper right hand corner of the picture is not on my desktop, it is the date for the blog post. NOTE: Notice that this post is titled "My Improved Desktop" as opposed to "New and Improved" since those terms should be seen as mutually exclusive. That is, something is either new or improved, not both. 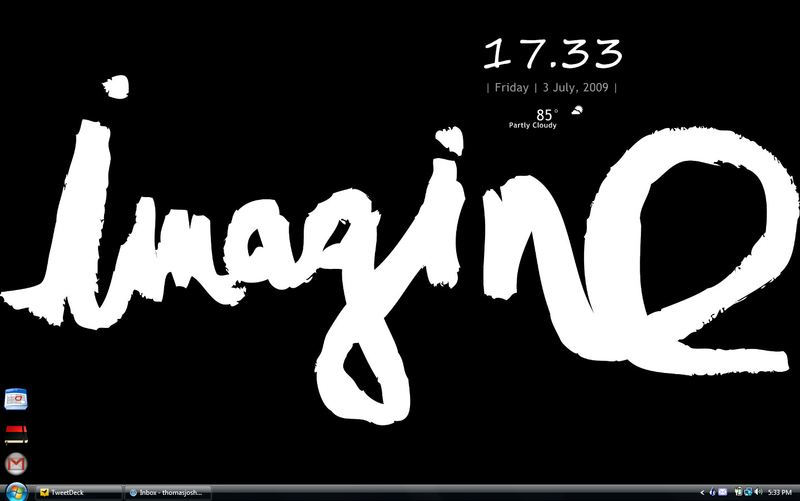 Since I already had the desktop it is not new, simply improved.